The Labrador Retriever Club, Incorporated is dedicated to the health and welfare of the Labrador Retriever breed while conserving the original breed function – that of a “working retriever.” A purebred dog offers to his owner the likelihood that he will be a specific size, shape, color and temperament. The predictability of a breed comes from selection for traits that are desirable and away from traits that are undesirable. When a breed standard or type is set, the animals within that breed have less heterozygosity than do animals in a random population. 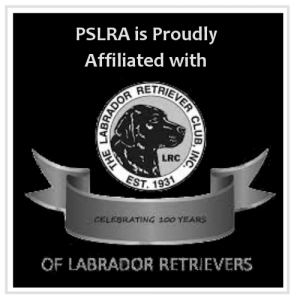 The Labrador Retriever Club, Inc. is opposed to cross-breeding of dogs, and is particularly opposed, to the deliberate crossing of Labrador Retrievers with any other breed. These crossbreeds are a deliberate attempt to mislead the public with the idea that there is an advantage to these Designer Dogs. The crossbred dogs are prone to all of the genetic diseases of both breeds and offer none of the advantages that owning a purebred dog has to offer. The following are examples of Designer Dogs that are considered crossbreeds of the Labrador Retriever. 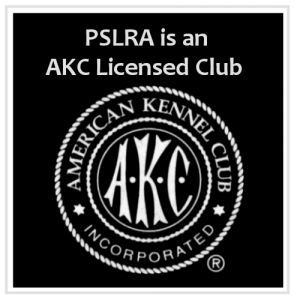 It is the opinion of the Labrador Retriever Club, Inc., the AKC parent club for the breed, that a “Silver” Labrador is not a purebred Labrador Retriever. The pet owning public is being duped into believing that animals with this dilute coat color are desirable, purebred and rare, and therefore, warrant special notoriety or a premium purchase price. 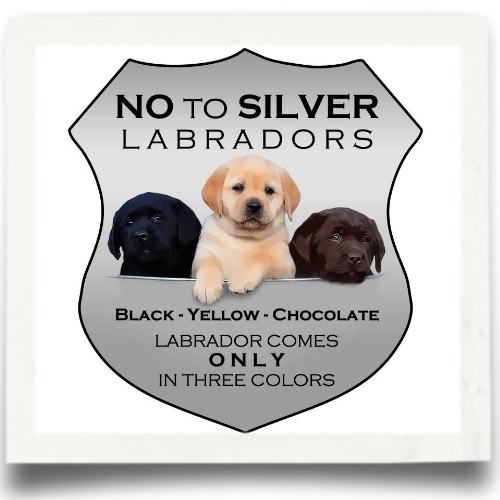 Over the past few years a limited number of breeders have advertised and sold dogs they represent to be purebred Labrador Retrievers with a dilute or gray coat color—hence the term “Silver Labs.” The AKC has accepted some of these “Silver Labs” for registration. Apparently, the rationale for this decision is that the silver coat color is a shade of chocolate. Interestingly, the original breeders of “Silver” Labradors were also involved in the Weimaraner breed. Although we cannot conclusively prove that the Silver Labrador is a product of crossbreeding the Weimaraner to a Labrador, there is good evidence in scientific literature indicating that the Labrador has never been identified as carrying the dilute gene dd. The Weimaraner is the only known breed in which the universality of dd is a characteristic. It’s a bit of a problem when it comes to breeding because recessive traits, such as [recessives] and dilution, can remain hidden in lines for many generations, then suddenly crop up when a dog carrying the trait is bred to another with it (if the gene is very rare in the breed then it can be a long time until this happens, if it ever does). This is why breedings sometimes throw complete surprises, like silver (blue) Labrador puppies in a breed, which, to all intents and purposes, contains no silverat all. That one lone recessive silver gene (d, on the D locus) has been passed down from generation to generation, completely unknown to the breeders, until finally it’s met another one. It might have come from a cross-breeding with another breed many years ago, which doesn’t show up on the pedigrees and no longer has any effect on the look of the dog (so all the dogs in the line look exactly like normal Labradors, not a crossbred), but they still carry one gene left over from the cross-breeding). Such rare recessive traits can be impossible to eradicate from a breed, simply because you can’t tell which dogs carry them. However, in recent years, genetic testing has helped to identify the carriers. A Labradoodle is nothing more than an expensive crossbred. Because the genetic makeup is diverse from the Poodle genes and the Labrador genes, the resultant first generation (F1) offspring is a complete genetic gamble. The dog may be any size, color, coat texture and temperament. Indeed Labradoodles do shed. Their coat may be wiry or silky and may mat. Body shape varies with parentage but tends to be lanky and narrow. Behavior varies with the dog and within a litter with some puppies poodle-like in attitude and others somewhat like the Labrador Retriever. The Labrador Retriever Club, Inc.’s position is that it is a clear and unarguable fact is that the Labrador is a retriever, not a pointing dog. There may be a residual instinct to point in certain Labradors. That does not make the Labrador a pointing breed. It was bred for use as a retriever of game and in the USA particularly, as a waterfowl retriever. There are any number of sporting breeds that excel at pointing upland game, as well as flushing such game. The Labrador is not one of those breeds, and should not be bred or sold to the public as a Pointing breed. The Labrador Retriever Club, Inc.’s position is, puppies advertised as Miniature Labradors are probably bred from undersized parents and there is no guarantee that said puppies would grow to meet the size described in the Standard for the breed. The ethics of a breeder that purposefully breeds for incorrect size must be questioned. Please refer to the Official Standard for the Labrador Retriever on this site.